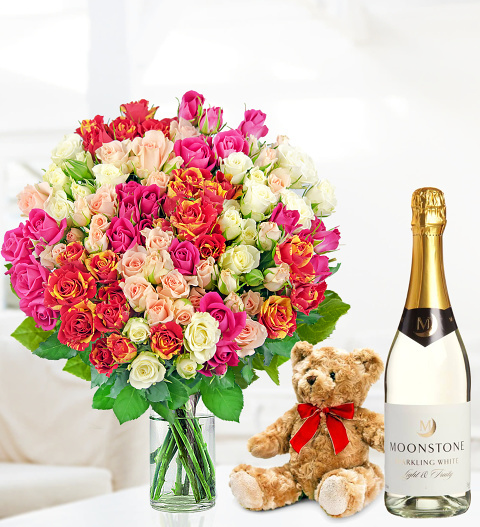 A bottle of Moonstone Sparkling Wine, a beautiful bear, and impeccably elegant spray roses. What a perfect gift to make a wonderful birthday or a special anniversary. When choosing this gift for what ever the special occasion maybe, you can be certain that the addition of these fine extras will certainly surprise your lucky recipient!